Loved this tour of Bohol countryside and the white sand beach of Anda. My most favorite is trekking to see the Can-Umantad Waterfalls. We went for a swim under the waterfall which was very refreshing and invigorating after a warm day of hiking and touring. The Cadapdapan Rice Terraces is a wonderful site to visit as well. The pick up time is punctual with a very friendly and courteous guiade all day long. 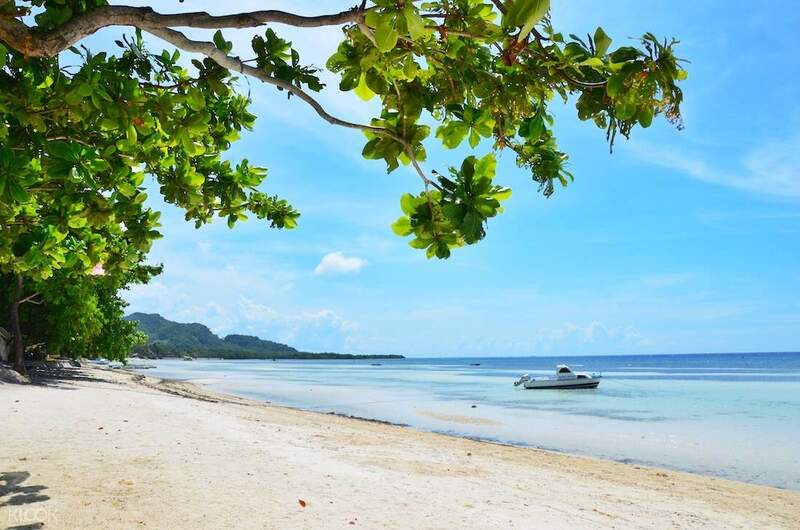 Go off Bohol’s beaten path and explore Anda Beach and Candijay. Discover a new side of the province with a whole day tour of its most tranquil tourist spots. Start off your day with a relaxing walk along Anda Beach’s white sand shoreline, where the crowds are surprisingly few. Get some much needed me-time, all while taking in the spectacular views of crystal clear waters and iconic palm trees. Extend your afternoon fun with a short trip to Candiday, the home of Bohol’s oldest rice fields and tallest waterfalls. 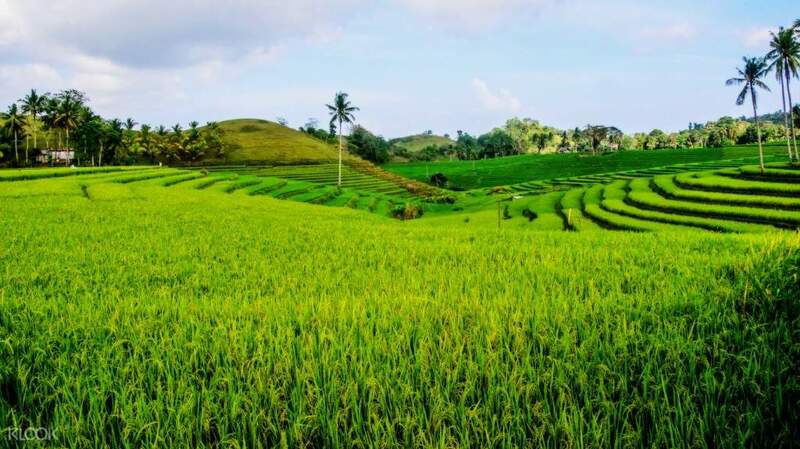 Make your way to the endless stretch of Cadapdapan Rice Terraces, where the elevated terraces of rice stand strong and healthy against the test of time. Meet the local farmers of the lands, and get a glimpse of their centuries-old livelihood. Finish off the tour with a trek to the 60-feet high Can-umantad Falls, a truly majestic sight that's worth the extra walk. 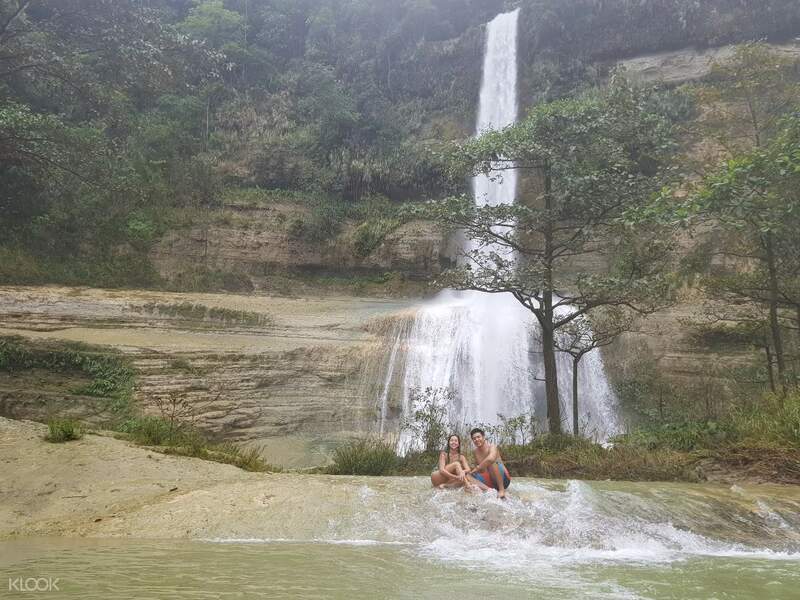 Once there, get a free back massage from the heavy flowing waterfalls and enjoy a refreshing dip before you go. Very nice driver but the cave was no able to swim at the moment. The ladder was missing. Anda beach is very nice you could see starfish from the shoal easily! The rice farm is nice but not able to the fall as the road is under construction at the moment. Very nice driver but the cave was no able to swim at the moment. The ladder was missing. Anda beach is very nice you could see starfish from the shoal easily! The rice farm is nice but not able to the fall as the road is under construction at the moment. Fantastic experience and great value for money. You get to see the far side of Bohol that most visitors to Panglao struggle to see by themselves. The waterfall is majestic and great to swim in, the beach is beautiful white sand (however the sea was full of seaweed), and the cave was a great way to end the tour, driver allowed as much time as you liked at each place, did not feel rushed and his English was very good. He was very knowledgeable about the local area as well. Would recommend to all who like to get their hair wet whilst exploring the natural beauty. Fantastic experience and great value for money. You get to see the far side of Bohol that most visitors to Panglao struggle to see by themselves. The waterfall is majestic and great to swim in, the beach is beautiful white sand (however the sea was full of seaweed), and the cave was a great way to end the tour, driver allowed as much time as you liked at each place, did not feel rushed and his English was very good. He was very knowledgeable about the local area as well. Would recommend to all who like to get their hair wet whilst exploring the natural beauty. Loved this tour of Bohol countryside and the white sand beach of Anda. My most favorite is trekking to see the Can-Umantad Waterfalls. We went for a swim under the waterfall which was very refreshing and invigorating after a warm day of hiking and touring. The Cadapdapan Rice Terraces is a wonderful site to visit as well. The pick up time is punctual with a very friendly and courteous guiade all day long. Loved this tour of Bohol countryside and the white sand beach of Anda. My most favorite is trekking to see the Can-Umantad Waterfalls. We went for a swim under the waterfall which was very refreshing and invigorating after a warm day of hiking and touring. The Cadapdapan Rice Terraces is a wonderful site to visit as well. The pick up time is punctual with a very friendly and courteous guiade all day long. It was a long drive but the sights are very nice. Kuya Vito was our driver. He was a very silent shy type of guy as compared to kuya Paul who was very lively and knows lots of historical background and fun facts about almost every place we visited during day 1 country side tour. I suggest you also offer a tour guide during the trip since it's a really long drive. Also, if there are additional snacks and bottled water for the tourists. It was a long drive but the sights are very nice. Kuya Vito was our driver. He was a very silent shy type of guy as compared to kuya Paul who was very lively and knows lots of historical background and fun facts about almost every place we visited during day 1 country side tour. I suggest you also offer a tour guide during the trip since it's a really long drive. Also, if there are additional snacks and bottled water for the tourists. Off the touristic beaten tracks. Lovely rice terraces and view of the countryside lifestyle on the way. I was a bit disappointed in the Cabagnow cave. It's much smaller and more crowded than expected. The falls made up for it though - As long as your driver is smart enough to make you get there or leave them from the bottom, otherwise you'll have to climb back up 350+ steep steps. My driver had a tendency to speed, which left me no time to enjoy the scenery on the way. But he corrected his missdriving when I told him that I was not in a hurry and that this was not a race. One thing he only changed once before reverting to it though was to push his aircon to max. His car felt like a fridge. So I had to leave the window open all the way. Off the touristic beaten tracks. Lovely rice terraces and view of the countryside lifestyle on the way. I was a bit disappointed in the Cabagnow cave. It's much smaller and more crowded than expected. The falls made up for it though - As long as your driver is smart enough to make you get there or leave them from the bottom, otherwise you'll have to climb back up 350+ steep steps. My driver had a tendency to speed, which left me no time to enjoy the scenery on the way. But he corrected his missdriving when I told him that I was not in a hurry and that this was not a race. One thing he only changed once before reverting to it though was to push his aircon to max. His car felt like a fridge. So I had to leave the window open all the way.